There is more than one reality facing Australian universities today. To pick just three of these: a new generation of learners coming into the universities, digitisation and the internationalisation of education. The new generation (or Gen Z) were born after the wide adoption of the internet, they have grown up with new technologies and a global economy, they are concerned about employment in a world with an increasing world population and need to feel what they are studying aligns with real world problems and challenges and will prepare them for the ‘new work order’ of multiple careers, being entrepreneurial and becoming job creators. Digitisation has shaken up many industries not least publishing and most recently health. It has provided many opportunities and challenges for industries having increased global reach, needing to change business models and reassessing methods and economies of delivering services. Lastly, and partly as a result of the preceding reality, with the readily available access to the internet and online learning has come a move towards internationalised education in a way that impacts what we teach and how we learn in a wider global context, as well as opening up new markets of learners beyond national borders and providing education for learners across many cultures and languages. To meet these new ‘realities’ is challenging for universities who have established and traditional modes and methods for learning in place, have a curriculum based three year degree structure and associated accreditation and where research funding is decreasing and becoming more and more competitive. To support all these challenges against the 21st century paradigms of ‘employability’ and ‘innovation’ it is critical that industry and community is engaged, provides regional and employment pathways for our students and helps to frame and support research in applied and translational ways that impact our national revenue streams directly, unlocks IP and provides the secure future for graduates and alumni to have access to ongoing education, jobs and support services. To achieve more active engagement between industry and community, it will be central that these interests are represented at the senior executive level and trickle down to business facing teams and strategies. In the UK for example many universities already have Deputy Vice Chancellor’s for Business in place, they have business development offices and have established significant fund raising and partnership support models to suit different regions and local industries. They are often populated by industry skilled staff with excellent project management training who have targets in place for cost recovery. At Coventry University, this component of the university provided a centre for entrepreneurship and start ups and generated support for start-ups and SMEs in a regionally depressed area that attracted significant European Regional Funding as well as national funding. Proximity of industry clusters within research institutes allowed IP and potential ideas to be transitioned quickly into productive industry partnerships, unlocked IP, new products and even start-ups. Obviously this can happen more within the ICT domain, so support for this sector particularly seems critical, but the Digital Catapult model in the UK shows how the proximity of research, students, academics and industry can generate significant national revenue, and does not require huge investment if existing university investment can be utilised at down teaching and research times. In my own previous work, an innovation diffusion model (IDM) was put into place successfully for a range of research and development projects and clusters where industry engagement was needed to accelerate uptake of products and IP (de Freitas et al., 2013). The need to build more robust bridges between industry and academia seems clear. As the Global Innovation Index (OECD: 2013b) demonstrates while Australia is 10th for innovation inputs and 22nd for innovation outputs, it is only scoring 81st out of 143 countries for innovation efficiency. While we are very strong on citations this is not always translating into business revenues. An industry leader once said to me it’s not the funding you raise it’s the wealth created which has the greater impact and is a better measure of performance he argued. Moving universities to thinking about impact and wealth creation for their regions changes the way we think about development in the universities. 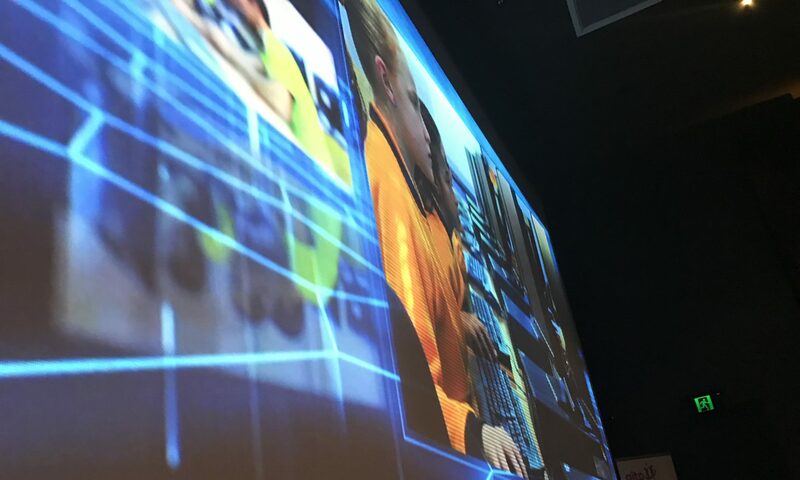 Not just in terms of a structural response to the challenges of digitisation and the international economy, but also a curricular response that impacts how and what we teach and the ways we communicate and connect with our learners. Cornell University in their study (Cornell University, INSEAD, & WIPO: 2014) rates innovation in terms of: knowledge creation (patents and publications) and here Australia comes in 26th place, impact (GDP growth, high tech outputs) and here Australia comes in 34th position and diffusion (royalties, high tech exports) where we drop significantly to 78th place. It’s how we diffuse innovation – and that is through our established networks of partners, such as industry, local and regional community development, and beyond to improvements in the local communities and out to wider national and international partners and networks. Strangely it’s in the diffusion of innovation that universities probably have the greatest potential, as they already have well established local and international links through its alumni. The OECD report (OECD: 2013a) found that direct funding from government for business enterprise innovation is third lowest in the OECD, and while other countries are investing more directly into innovation, Australian strategies have favoured indirect tax relief rather than direct funding. There has been little investment from industry into R&D in Australia, which when coupled with a relatively low presence of ICT / STEM inhibits innovation. This is compounded by the pipeline of future students and there only 16% of students study STEM subjects when compared to 52% of Singaporean students. With the lowest expenditure on ICT in OECD as a percentage of revenue, we have much to do at all stages of the lifelong learner’s development. But these challenges should be possible to address and will provide an engine for revenue and development in Australia for the next generation. But we will have some work to do. The situation has in fact been worsening, and ‘the period between 2001 and 2011 saw a decline from 7.6 to 3.1 in the percentage of ideas for innovation sourced by businesses from universities’ (Jackson et al., 2015). Karpin (1995) found significant gaps in ‘areas of entrepreneurship, global orientation, soft skills and management development’. Resources industries which are numerous in Australia were found to have relative low expenditure on ICT (Potter et al., 2013). So, what can we do to reverse this trend and tap into new revenue sources to support international excellence in research and maximise our return on investment into education. The answer is really in the business and community engagement piece and how universities build a mechanism to interface more effectively with industry. But we will also need to use industry clusters and partnerships to support better employability and to engage our students with challenge-based pedagogy and active learning approaches that make all graduates fit for the multiple careers and to help them establish the right skills for setting up companies and finding solutions to real world problems in their work life. Together industry and the university can drive regional growth, revenue streams and start up capabilities to ensure that all our graduates go into work and have satisfying lives, with the skills they need and meet industry needs to solve real world problems. The two sectors when working together can have enormous benefits to society. Through starting to develop and nurture long lasting relationships with industry cross benefits will be enjoyed such as industry sponsored postgraduate and undergraduate students, collaborative projects, co-branded activities, access for wider student cohorts, community programmes, community activities on campus, clusters, access to continuing professional development, piloting products and services, student placements, work integrated learning, diffusion of knowledge to communities, support for international organisations and activities, intensive courses and externally funded research and development projects. Making sure that our university executives have business skills, as well as technical and entrepreneurial abilities is critical, as that will enhance our capability to fund and build up these business facing offices to ensure that we use all the networks at our disposal to support community development and create innovative solutions. By building these business-ready skills into our students, and by ensuring that our research and teaching experiences are enhanced by industry connections and accelerate growth and wealth in our regions, we will ensure that we move up the OECD innovation index considerably in a relatively short space of time. But to achieve this we need senior level leadership and excellent business entrepreneurship at the top level of the organisation. Through this mechanism, our business development will start to function efficiently and cover its costs within two years. This model used in the UK, and well embedded in the US, will provide us with extra capability to ensure that: research is applied and translated into commercial products and services, we can provide solutions for local and regional problems, there is support of the most authentic learning and research experiences for our students and ensure employability of all our graduates. Cornell University, INSEAD, & WIPO (2014). In S. Dutta & B. Lanvin (Eds. ), The global innovation index 2014. Fontainebleau, Ithaca, and Geneva: World Intellectual Property Organization. de Freitas, S., Mayer, I., Marshall, I., Arnab, S. (2013). Industrial and academic collaboration: Hybrid models for research and innovation diffusion. Journal of higher education policy and management, 36(1), 2-14. Jackson, P., Runde, J., Dobson, P. & Richter, N. (2015). Identifying mechanisms influencing the emergence and success of innovation within national economies: a realist approach. Policy Sciences, 1-24. Karpin, D. S. (1995). Enterprising Nation—Renewing Australia’s Managers to Meet the Challenges of the Asia-Pacific Century. In Report of the Industry Task Force on Leadership and Management Skills. Canberra: Australian Government Pub. Service. OECD. (2013a). Entrepreneurship at a glance. Paris: OECD Publishing. OECD. (2013b). OECD Science, technology and industry scoreboard. Paris: OECD Publishing. Potter, K., Smith, M., McGittigan, J., Guevara, J. K., Hall, L., & Stegman, E. (2013). IT Metrics: IT Spending and Staffing Report, 2012. Gartner. The two areas of great recent debate have been around STEM (Science, Technology, Engineering and Maths) and impact. These are both significant debates, the one is seeking to understand what skills will be needed in the future and how school educated students can be best prepared for university and the workforce, particularly in terms of 21st century skills. There is a great need to prepare the workforce with the skills they need, and this has fostered the debates around STEM, STEAM (Science, Technology, Engineering, Arts and Maths) and 21st century education skills. However, it is unclear currently exactly what the new jobs will be and therefore plans to prepare students for the information economies of the future have not always been grounded in the evidence base. Although for example the Australian Computer Society report on ICT skills shortages (https://www.acs.org.au/news-and-media/news/2015/ict-skills-shortage-points-to-enormous-career-opportunities-finds-acs-and-deloitte) may begin to point to where the skills gaps are to ensure that university programmes are designed to address any educational skills needs. Impact has been a great debate in the United Kingdom as a result of changes from the Research Assessment Exercise (RAE) to the Research Exercise Framework (REF) and is starting to be considered in Australia with proposed impact measures in addition to the Excellence in Research for Australia (ERA). The main touchpoint of the debate has been not so much around what impact is or how it might be facilitated but rather around how impact can be measured. There is an assumption here that impact can be measured and that measurement and certainty can guide sectoral transformation. While this is arguable, it is certain that innovation will drive impact, so some focus is needed upon how we can better connect innovation with investment to maximise profitability and accelerate growth. Necessarily we will want impact of research beyond citations and funded projects into start-ups and IP generation, but this will require scientifically trained students to enter our workforce, with soft skills to problem solve and overcome challenges and knowledge of how evidence-based approaches and analytical skills can be applied in given areas of study and practice. What is certain is that the next generation of graduates will need a range of skills including resilience and adaptability to prepare them for the greater number of career changes they will experience over their working lives. To fuel wider social and economic development and growth over the next five years in Australia, a programme of innovation, entrepreneurialism and academic-industrial collaboration is needed. The next blog post will consider promoting innovation in our universities. Higher education is the fifth largest export for Australia. It will continue to play a huge role in the cultural and social life as well as economic growth of the country. Over the next five years, with increasing investment, the higher education sector in Australia will be set to grow and there are a number of key trends that we are likely to see deepen over the period. The main areas of growth over the next five years will be fuelled by the move towards more information-based economies. The emergence of information societies (see work of Manuel Castells) and the rapid growth of computer technologies, broadband and mobile technologies has fuelled a greater dependence upon data transfer and analysis in our globally connected societies. Universities are in a particularly good position to capitalise on this move to information economies as they are already major metropolitan and regional generators of intellectual property (IP), are international research centres and provide tertiary education and training for 47-70% of our school leaving students aged 17+ as well as educating large numbers of mature age lifelong learners aged 24+. However modern society is fast changing (see work of Paul Virilio) and today’s problems are very different from yesterdays. Students want to learn in different ways and can gain much of the traditionally taught information from the web. Universities need to adapt to this fast changing environment and better prepare students for the different challenges and opportunities they find themselves in. This means that as societies grow and develop in ever faster paces the university sector has to be more proactive to changes and adapt to give students the best experience we can and invest in innovation and applied research to help fuel metropolitan and regional development and growth to ensure that students can walk into a range of employment opportunities in a vibrant local economy. In order for the university sector to be more proactive, a greater focus upon leading metropolitan and regional areas in innovation, entrepreneurialism and greater interconnection between public and private sectors of the economy, is required. To achieve more of a leadership role in the city or region requires planning and foresight, areas of specialism need to be selected carefully and invested into over a number of years. Links between State-wide start-ups and incubators need to be fostered and aligned by State government priorities as well as through universities and industry initiatives. Above all a dialogue between academic-industrial and government partners needs to be nurtured and made to underpin all investment planning. Through this alignment of focus and investment, greater returns can be achieved for students, industry, the academy and government. Our new societies are above all about collaboration not competition. It is critical that this is acknowledged as we build our 21st century communities. The next blog post will consider ‘STEM, STEAM and impact’. Universities are clearly at a fork in the road, however, with the right vision that blends new more real world and exploratory pedagogy with a greater flexibility – a more personalised experience for learners will result. We will need to renew our learning spaces, trial and blend our learning and teaching practices to match the new generations and create greater flexibility for supporting these more personalised learning experiences. But the advantages will be beneficial in numerous ways: better alignment with the workplace, proactive dialogue with our communities and social support for real world problems through translational research and work and community integrated learning outcomes. To achieve this, we will also have to find new ways to collaborate more closely as a sector and work more closely with industry. With rising numbers of global and lifelong students, open access to universities within and beyond the undergraduate curriculum, ease of access to high quality learning materials and lifelong learning for all, the future is not as uncertain as many commentators would like to think… In fact the need for learning is growing significantly and the requirements of re-education are gaining with every career change we take. Clearly the need for high quality education is not decreasing and is set to continue to grow with new markets of on shore and off shore learners. The Generation Zers coming into our universities will present us with challenges for sure, but in the end they are just a new generation of learners who need to be scaffolded through the learning process like any other generation. They want to be inspired to learn more from subject specialists and want to emerge from the hallowed halls of universities globally competitive and ready to make their unique contribution to the workplace. They may face greater chances of unemployment and need a wider range of soft skills, but most universities are well prepared and resourced to provide an excellent education using methods that are financially sustainable and quality that can be assessed to a high standard. Sara is an educator, author, researcher and public speaker with twenty years in higher education. She has worked in four universities in Australia and the United Kingdom in various roles from Research Fellow to Pro Vice Chancellor, with experience in education and research portfolios. She is a passionate advocate for high quality learning and teaching and applied, translational and discovery research that creates social and economic benefits for local, regional and international growth and renewal. She has published seven books and over 200 peer-reviewed journal articles, conference papers, book chapters and technical reports. Her cross-disciplinary and cross-sectoral influence upon the academic domains of educational technology and higher education policy and leadership development has been fostered by sitting on over 60 programme committees and advisory groups, and undertaking over 120 international keynotes, presentations and public lectures in four continents. How will our students fare in the Digital Economy and the New Work Order?